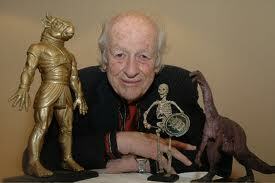 Ray Harryhausen has passed away at age 92. When someone from the movie-making world dies, we often talk about how their work influenced others or had an impact on the industry. It’s difficult to name any single person who influenced more filmmakers and movie lovers than Ray Harryhausen. As for impact on the industry, we continue to enjoy not just his work, but the work of those he inspired … Steven Spielberg, George Lucas, Tim Burton, Stanley Kubrick (and MANY more!) … in genres such as Sci-Fi, Adventure, Fantasy, Horror and Monsters. If you don’t recognize his name, it’s because he was a humble man who enjoyed his craft, but avoided the spotlight. His life-changing event occurred when he watched King Kong (1933). 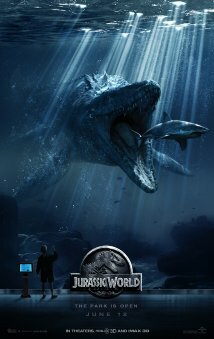 The visual effects ignited a passion and a lifelong pursuit of improving visual effects in movies. He tutored under pioneer George Pal and worked with Willis O’Brien on Mighty Joe Young (1949). He then began his own work, including his most famous films The 7th Voyage of Sinbad (1958), Jason and the Argonauts (1968), One Million Years, B.C. (1966) and his final film Clash of the Titans (1981). His most famous effects include the sword-fighting skeletons, the cyclops, the cobra woman, Medusa and the magnificent flying horse of “Titans”. And this doesn’t even include Raquel Welch in One Million Years, B.C. Yes, I know Mr. Harryhausen did not create Ms. Welch, but she exemplifies just how difficult it was for actors to get attention in a scene with his creatures! While I am certainly not unique in this, Mr. Harryhausen’s creatures dazzled me as a youngster who was just starting to get a feel for the power of cinema. His innovative special effects led to a well-deserved Honarary Oscar in 1992. If your boss is ever unhappy with your production level at work, just remind him that the great Ray Harryhausen often had work days where he finished but one-half second of filmed effects. That’s what I call dedication to the cause! The best video I could find for a tribute is below. It presents the Harryhausen creatures in order … with the great Tito Puente providing the background music. There is also a terrific documentary called Ray Harryhausen: Special Effects Titan (2011) that I highly recommend.